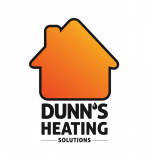 I am a gas safe heating engineer specialising in a range of services. I believe in providing an excellent service whilst ensuring prices are competitive and work is completed to a high standard every time. I understand that not everyone is at home during the day so I offer a flexible service where I can complete my work on evenings and weekends. Working throughout Southwater, Horsham & Crawley areas, I can also offer my services to properties throughout West Sussex and Surrey.